Is it possible to demonstrate experimentally, an age-associated, but not necessarily an age-dependent change (see Chapter 11 this volume), in human peripheral blood NK activity by a multitechnique approach? The resulting pattern of NK cell dynamics should be qualitatively consistent with different traditional as well as unconventional techniques and experimental conditions used to quantitate the NK activity. Would such a functional change in NK activity—whether positive or negative— have a cellular basis? 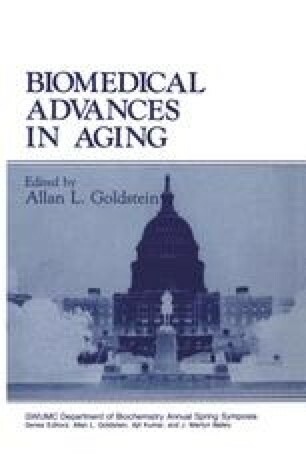 If so, would those phenotypic alterations be unique to the aging process? Are there parallel immunosenescent changes in the non-null cel (T and B) systems? Do the NK cells have an immunoregulatory influence on the non-NK cell immune systems of an aging individual?